After a summer of expenditure in the transfer market, hopes were high that Arsenal finally had a squad to challenge on all fronts this term for the first season in recent memory. Despite the early season form of Chilean superstar Alexis Sanchez, the North London club have experienced the same old problems of late. A lack of strength in depth has blighted the Gunners in recent campaigns, with injuries to key men seeing players deployed out of position and occasionally out of their depth. Defensive injuries mean that Nacho Monreal has had to play at centre-half, while youngster Calum Chambers has been thrown into the breach after switching from Southampton. Following the departure of Bacary Sagna in the off-season, bringing in a new right-back was key for Arsene Wenger, with the arrival of Mathieu Debuchy from Newcastle as a result. 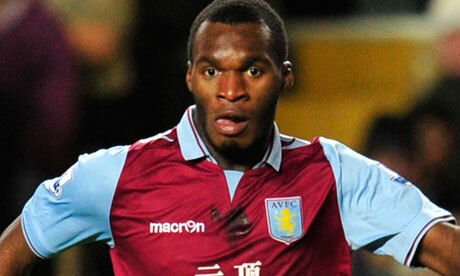 However, the France international has suffered from injuries and as such has only played four games this term. Debuchy was not subtle in his desire to leave St James’ Park in the summer and pushed for a move to North London – something of a slap in the face to Newcastle. 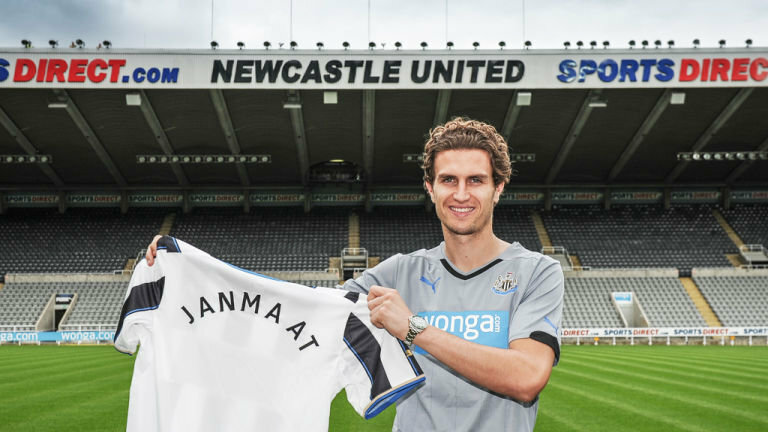 The Tyneside club recuperated a fee in the region of £12 million for the former Lille full-back and spent around half of this on his replacement, Daryl Janmaat. The Netherlands international was coming off the back of a positive World Cup campaign, having impressed over a number of seasons at Feyenoord. Janmaat had big shoes to fill given Debuchy’s performances for Newcastle, especially on the front foot, but early signs indicate that Newcastle have carried out a very astute piece of business. The 25-year-old provided both assists in Newcastle’s 2-0 win over West Brom at the weekend and has slotted into Alan Pardew’s defence almost seamlessly. With Debuchy’s showings at the World Cup questionable and Janmaat available for cut-price fee in the summer, Newcastle seem to have got a much better deal than the Gunners in filling their right-back berth. With all the furore and confusion caused by the appointment of Joe Kinnear as Director of Football, it is all too easy to get pessimistic about Newcastle. But the reality is they have the quality in their squad which would be the envy of most clubs. At their strongest, their starting eleven is at least the match of Liverpool and Everton, maybe even a Bale-less Spurs. The majority of their first team have been linked with Champions League clubs on the back of their 2011/12 fifth-place finish. In January they added to that core with France’s first choice right back, two other French internationals and the captain of the defending French champions. The first team is loaded with talent, and with a couple of careful additions, they can easily get back to the top six. Of course, with Newcastle, there is always a tendency towards self destruct. The appointment of Kinnear doesn’t undo the quality they have though. As long as he doesn’t do something ridiculous like sell them all. Last season was somewhat anomalous for Newcastle. They didn’t build on the fifth place in the summer and when key players were injured or out of form in the early season, panic set in. The first choice team was excellent, but the depth was poor. When Yohan Cabaye is out and replaced by James Perch, there is going to be an appreciable drop off. They did their best to rectify the problems in January, but a big influx of players is always hard to bed in. Never mind mid-season. Alan Pardew didn’t quite seem to know how to use all the players at his disposal and at times they were tactically disjointed. 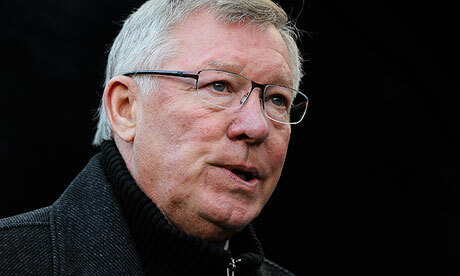 He was caught between trying to infuse the new players and keeping loyal to some old favourites. Playing Cabaye and Moussa Sissoko in the ‘number 10’ role didn’t really work. 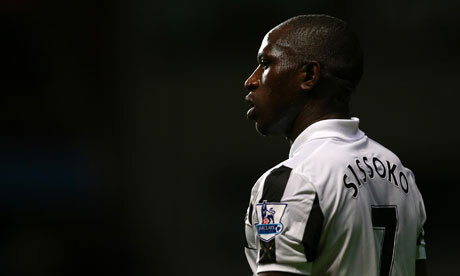 Sure, Sissoko scored some goals early on, but it’s not his role. Cabaye is a deep playmaker and Sissoko a Yaya Toure like box-to-box bulldozer. Neither have the subtlety and probing ability to play so high up the field. They are the club’s best two midfielders, and he tried to use them further up the field to give them greater influence, but the way to use them most effectively is in their best position. 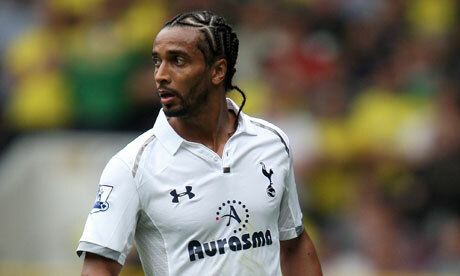 Their best ‘number 10’ could be the bizarrely under utilised Sylvain Marveaux. When he played, he was inevitably involved in goals. 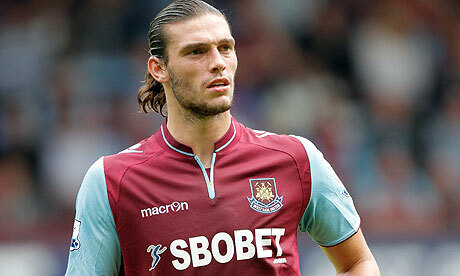 He’s not a hard worker, but his floaty, pacey style, combined with a lovely passing range makes him a true threat. Newcastle can then use Hatem Ben Arfa and Yoan Gouffran as their wide forwards in a 4-2-3-1 and that gives them genuine pace and width. Rather than using Sissoko and Jonas Gutierrez, one out of position and one who works hard but doesn’t possess flair or pace, Alan Pardew needs to use his two quality weapons. Ben Arfa has been linked to Chelsea and PSG and when he was younger Gouffran was linked to Man United. They’ve got the ability to score 7-8 and make 10-12 each, and that would put them with the top names in that area of the field. With Papiss Cisse upfront bringing his strength, pace and beautiful technique, it would give Newcastle more than enough ammunition. 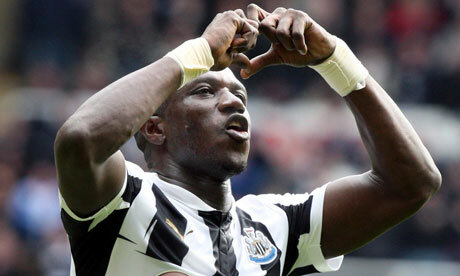 Kinnear wants another striker for some reason, but Cisse has enough class. He needs to be trusted and provided with plenty of supply to thrive. The concern last year was the defence, but again there is class there. Mathieu Debuchy and Davide Santon are top notch at full back and a now refocused Fabricio Coloccini is one of the better centre backs in the league when on song. Tim Krul could be a top five keeper in the league if he keeps improving. There is however, a big problem next to Coloccini. Mapou Yanga-Mbiwa had a few good games, and Steven Taylor is hugely popular but both are erratic and error prone. Newcastle need to invest in a reliable presence. 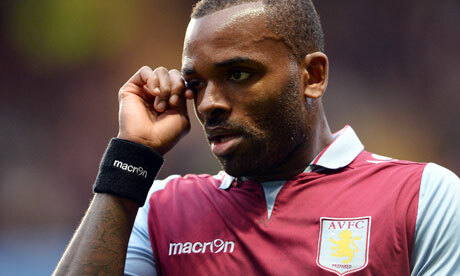 If, as is rumoured, Kinnear has vetoed signing Twente’s commanding Douglas it is a ridiculous decision. With all this talent on board, Newcastle have more than enough talent to reach the top six. 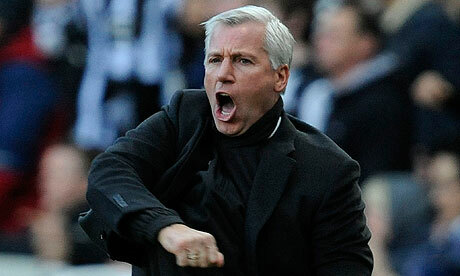 If Pardew uses his players properly, and trusts them to play to their strengths, they can show why they finished 5th. However, this all depends on the new director of football not doing anything rash. They’ve got the talent, they just need to trust it and add sensibly in the manner they have in the past few years. Oh Joe he didn’t! Kinnear returns to Newcastle as Director of Football. There is certainly never a dull moment at Newcastle United and with owner Mike Ashley in charge, supporters in the Northeast have seen some unusual moving and shaking over the last few years. The appointment though of former manager Joe Kinnear to the role of director of football is, even by the standard of Ashley’s antics, baffling to say the least. The whole phenomenon of a director of football is something that has gradually crept into British club operations from abroad where a senior man, operating above the touchline means the traditional manager’s role is more that of head coach. This new ideology has been greeted with suspicion by both managers and fans alike. The main worry being that the director will interfere with team matters, to the extent that it hampers the manager’s ability to do his job. The fears of course, are often justified and in search of a previous example, we should look no further than Tyneside itself. Back in 2008 Ashley’s popularity was at an all-time high with the Toon support due to his appointment of club hero Kevin Keegan for a second spell as manager. 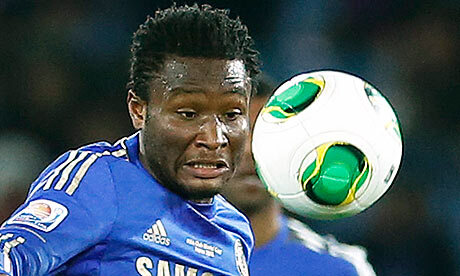 He had however, also recently appointed former Chelsea captain, Dennis Wise to the director of football role. Before long rumours were circling that Keegan was unhappy with Wise meddling in team matters. He resigned by September, openly citing the interference as a reason and saying players were being bought and sold against his wishes. 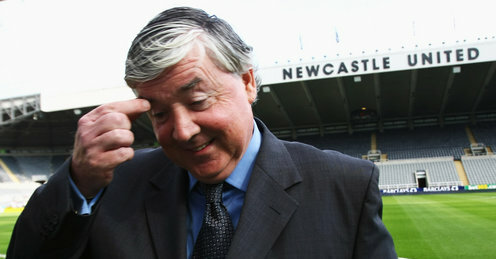 So what of Joe Kinnear and his track record? The Irishman has of course, had a good degree of success as a manager. Most of this success though was with his Wimbledon crazy gang back when the Premier League was just a spring chicken two decades ago. His spell at Luton Town could also be regarded as a positive one but the majority of Magpies’ fans will be wondering how in touch Kinnear can possibly be with the modern game due to a couple of lengthy health-related absences. Now 66 years old, Kinnear is linking up with Ashley at Newcastle for a second time, albeit in a different role. His last spell, replacing Keegan as manager, was mediocre in terms of results and ultimately cut short by his own health problems. It was however packed with controversy and included an infamous foul mouth rant by the Dubliner, aimed at a journalist form the Daily Mirror. What on Earth can we expect this time around? 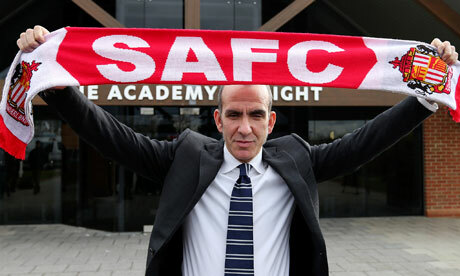 Directors of football usually downplay their appointment on arrival. Clubs issue statements justifying the position and there is much talk of strengthening links between the manager and the board. The language used is all about supporting, guiding, administering and advising. In general the explanation of the role is vague and maximum effort is made to avoid ruffling the manager’s feathers. Joe Kinnear though wasn’t beating about the bush. He was making it clear that he would be not only involved in decisions about transfers, but having the final say. It’s hard to know when Pardew first heard of the appointment but here was Kinnear was claiming in his phone interview, that he planned to sit down for lunch with the manager, openly admitting at the same time that he had not yet spoken to him, while effectively announcing on national TV that he would be taking away some of the boss’ responsibilities. The whole thing was just bursting with the aura of a truly public undermining and the hallmarks of a Mike Ashley stunt. The agenda? Newcastle had a cracking 2011/12 season under Pardew and Ashley rewarded the manager with an unprecedented eight whole years of contract. Now here we are one year on and Newcastle toiled badly last season, Mr Pardew’s stock is lower and his contract still seven years away from a severance free ending. 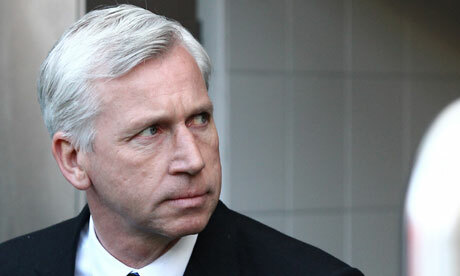 If Mike Ashley fancies another change in manager he will need Pardew to quit rather than sack him. What makes the whole thing even more audacious is that one Joe Kinnear was installed as director of football at Luton Town in 2001. Almost immediately after appointment, Kinnear demoted the manager and took control of the team himself. Alan Pardew of course will be immune from anything quite so obvious and drastic but you would forgive him for thinking that there is something sinister afoot. As we wait for Pardew to comment, Newcastle fans can sit and wonder what the future will hold regarding Kinnear’s impact on how the club will operate in the summer transfer market. Perhaps Kinnear will bring experience and a great assistance to the current manager and perhaps Mr Ashley is being shrewd beyond our comprehension. The potential twists and turns in this plot are mouth-watering for a neutral onlooker. Despite all the uncertainty we can rest assured that the immediate future at United will be far from the mundane. Would Newcastle’s Yohan Cabaye be a hit at Manchester United? Newcastle playmaker Yohan Cabaye was linked heavily to Manchester United at the end of the 2011/12 season after he was instrumental in Newcastle’s fifth-placed finish. He was thought to be an upgrade on Michael Carrick, who had plateaued and had been a key player for France and Lille in the role. 12 months on and this time Cabaye is having to link himself. His own form this season wasn’t bad but was by no means as good as the previous campaign and as the key playmaker and midfield fulcrum, Newcastle’s poor season reflects badly on him. Still, in an interview with Canal+ he was asked whether a move to Man United would interest him and he said ‘Yes of course, I like this club for a long time…They are always well placed amongst the big clubs, yes for sure it could be an interesting challenge but like I said for the moment, there is nothing concrete and I am still at Newcastle.’ So he is clearly interested, but are Man United, and should they be? 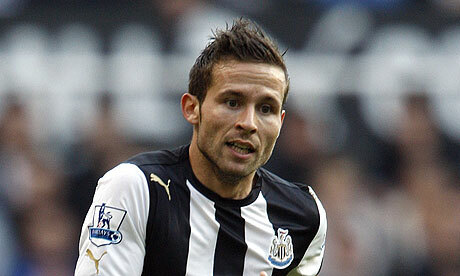 Cabaye’s debut season at Newcastle saw him score four and assist eight from his deep playmaking position. His metronomic passing, excellent set piece delivery and hard running, pressurising defensive game marked him out as one of the elite midfielders of his type in the Premier League. He had shown the same qualities at Lille where he led the team to the French title before Newcastle caught everyone napping to sign him. This meant that last summer, as rumours of a Man United midfield search abounded, he was right up at the top of the list. People with bored with Michael Carrick, they didn’t know what to expect of Tom Cleverley or Anderson, and weren’t sure if Phil Jones could play the role. Cabaye made great sense. But, as we know, Sir Alex Ferguson trusted his midfield and Michael Carrick ended up having the season of his career. Cabaye on the other hand, fared less well. The main reason for the drop in Cabaye’s performances were his own injury issues and misdeployment by Alan Pardew. Cabaye struggled for full fitness through a lot of the season, which meant that he was a step slower, marginally less accurate than before, and couldn’t impose himself on a Newcastle team that struggled before being flooded with his countrymen in January. In this essentially new team he struggled to exert himself in an alien position. This is because Pardew played him in a far more advanced role for much of the season to little gain. Cabaye can get goals and see a pass from deep but he doesn’t have the fleet feet and inventiveness needed further forward. It’s not that he is suddenly a bad player though, considering the constant turnover of players at Newcastle his drop in form is understandable. It’s not really this that means he is perhaps ill suited to United though. If United played a 4-2-3-1 system, Cabaye would be a good partner for Michael Carrick. They would be able to move the ball and maintain possession smoothly whilst also offering a strong defensive shield. However, if David Moyes uses his preferred 4-4-2/4-4-1-1 system, a midfield of Carrick and Cabaye would lack for something. Neither of them would be the ideal deep driving engine midfielder. United have also been linked to Thiago Alcantara, Cesc Fabregas and Marouane Fellaini, who would all make better compliments to Carrick in that system. Cabaye is solid when getting forward but if that is how he is used he wouldn’t be being bought for the right reasons. However, if Moyes does want two deep possession midfielders then Cabaye would be ideal. United could get him at a reasonable price compared to the others on this list too. Cabaye can be a success at Old Trafford is used properly and bought for a specific purpose. If David Moyes used the correct tactical set up he could be excellent. However, if the new United manager keeps his usual preferred method then Cabaye should not be first choice ahead of the more thrusting options United could look at. Newcastle United have had a patchy season to say the least, yet they are challenging for the Europa League and have certainly improved since the influx of French imports in the January transfer window. The short-term target for the club is to establish themselves in the Premier League and have a good go at the Europa League; the long-term vision is to cement their place in the top six of the Premier League and stay there. There is no doubt they have the foundations to do so. Although Newcastle have brought a lot of new players in, they have not spent vast amounts of money. Moussa Sissoko, Yoan Gouffran, Massadio Haidara, Mapou-Yanga Mbiwa and Mathieu Debuchy cost the club an estimated £15.3 million in the January window; compare that to the £19 million QPR spent on Loic Remy and Chris Samba and the huge wages they paid both players. Newcastle have the squad to challenge at the top end of the league but in order to do so, they will have to improve certain aspects of the team. Striker – Since the departure of Demba Ba and the failure to land Loic Remy, Newcastle are desperate for another top striker to play alongside Papiss Cisse. The number one target is Saint Etienne striker Pierre-Emerick Aubameyang. The Gabon international is in demand though and will not come cheap. It’s rumoured that the player would be very interested in a move to Tyneside, and indications suggest Mike Ashley will make a personal visit in order to get the deal done. 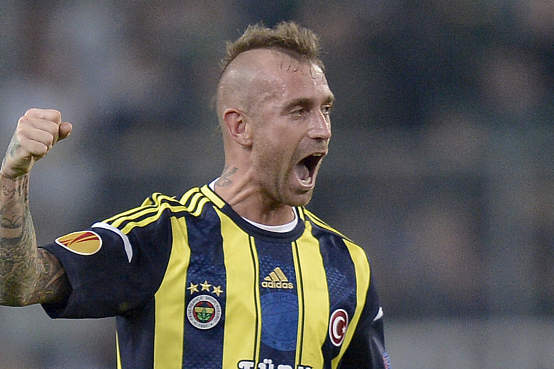 It would be a magnificent signing for the club. Other potential striker targets for the club are Siem De Jong from Ajax and Wilfried Bony, however, I believe signing Aubameyang would be the best move for the club; he will offer not only goals, but strength and pace also. Centre-half – With the imminent departure of captain Fabricio Coloccini, it is essential that Newcastle sign a centre-half to replace him. Mamadou Sakho from PSG is a name that has been thrown about for a good 12 months around the club, and it is believed that Newcastle will make an early move for the French centre half. The signing of Sakho would represent a major coup in the window for Newcastle after a lot of clubs have expressed an interest in the centre-half. James Tomkins is a name that has been mentioned a lot, but I believe that would be a major step down for the club. If Newcastle can strengthen these two positions in the summer, and not sell any key players, then they will be a team that will have power, strength and pace and not many teams will look forward to facing that prospect. For the first time in a long time things are starting to look extremely bright on Tyneside, and despite a blip this season, I believe Newcastle United are back on the road to becoming a major force once again in English football.